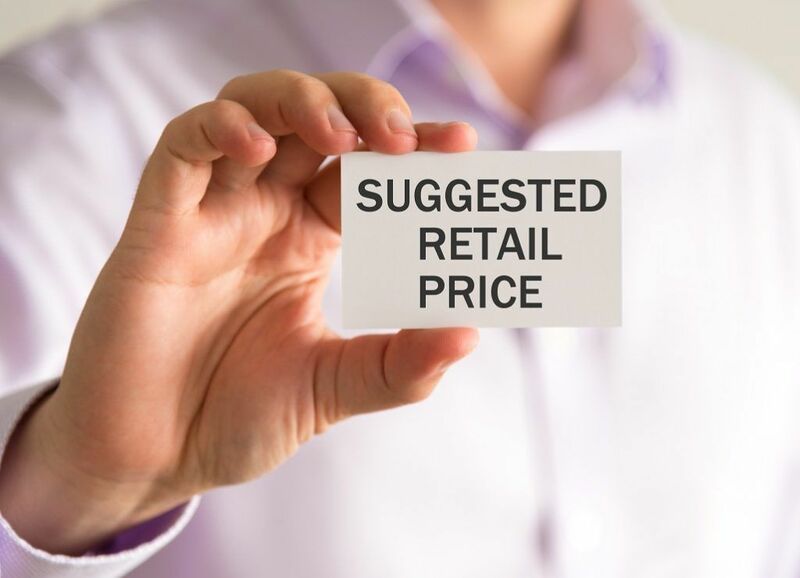 What is the Manufacturer’s Suggested Retail Price (MSRP)? The manufacturer’s suggested retail price (MSRP) is the price at which the manufacturer recommends selling its product by retailers. The MSRP generally reflects all the manufacturing and selling costsCost of Goods Sold (COGS)Cost of Goods Sold (COGS) measures the “direct cost” incurred in the production of any goods or services. It includes material cost, direct labor cost, and direct factory overheads, and is directly proportional to revenue. As revenue increases, more resources are required to produce the goods or service. COGS is often associated with a product. It is also known as the list price, or the recommended retail price (RRP), or the suggested retail price (SRP). The purpose of the manufacturer’s suggested retail price (MSRP) is the standardization of selling prices among different retail locations. In addition, the introduction of the MSRP ensures that all parties involved in a transaction (manufacturer, wholesaler, retailer) will be able to earn profits at the end of the final sale. Although the price is called “suggested,” retailers generally can sell the products purchased from the manufacturers at the MSRP, as well as below it. The practice of selling the products below the MSRP is especially common in situations when the manufacturer sets a high suggested price while the retailers purchase the products at an extremely low wholesale price. In addition, the retailers may sell at a price below the MSRP to attract consumers or to remove excess inventoryInventoryInventory is a current asset account found on the balance sheet consisting of all raw materials, work-in-progress, and finished goods that a company has accumulated. It is often deemed the most illiquid of all current assets, and thus it is excluded from the numerator in the quick ratio calculation.. The suggested retail prices can be found in products in different industries. One of the most notable examples of the frequent application of the MSRP is the automobile industry. For example, in the United States, automakers are obligated by law to display a vehicle’s price on its windshield or spec sheet. In the US automobile industry, the manufacturer’s suggested retail price (MSRP) is also known as the sticker price because it is placed on a Monroney sticker on the vehicle’s window. The commonly used argument against the use of the MSRP is that the concept contradicts the competition theory. The theory states that in a perfectly competitive market, all companies in the market are price takersPrice TakerA price taker, in economics, refers to a market participant that is not able to dictate the prices in a market. Therefore, a price taker must accept the and cannot influence the market price of their products. However, the concept of MSRP allows manufacturers to set the prices on their products. Besides, one of the concerns regarding the practice is that manufacturers may set the suggested price at a level higher than the price derived solely from market forces. In such a case, the high levels of prices will adversely affect consumers.